Common name: Golden Nugget Pleco. Origin: Amazon, Brazil, Rio Xingu. 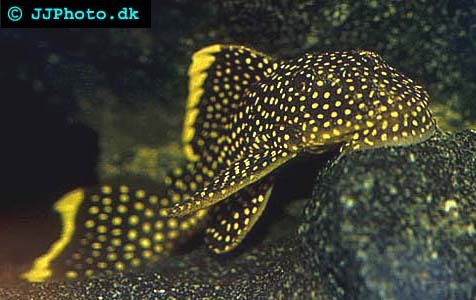 Company: Baryancistrus sp (Golden Nugget Pleco) can be kept with other fishes that has the same demands. They are highly territorial and should be kept with other Baryancistrus sp (Golden Nugget Pleco) unless kept in a really big aquarium. Feeding: Baryancistrus sp (Golden Nugget Pleco) requires a varied diet containing both vegetables and other food sources. Should be given frozen food. 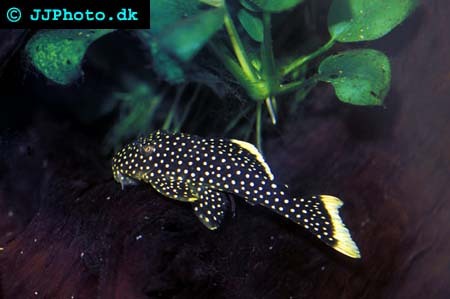 Breeding: Baryancistrus sp (Golden Nugget Pleco) have been breed in aquarium but little information is known.